My name is Ray Chamberland, and I am a Colorado Springs family lawyer who loves my job. I represent husbands, wives, mothers, fathers, and grandparents involved in family law cases. 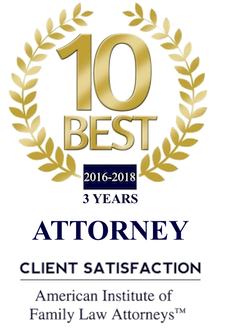 I help my clients resolve disputes and secure the agreements and settlements that are in their best interests and the best interests of their children. I have been practicing law for 24 years --11 years as a JAG in the U.S. military, and now as the principal attorney and founder of Chamberland Law, my Colorado Springs family law practice. I am a zealous advocate with a reputation for taking care of my family law clients and protecting their legal rights. I also represent military service members who need a Colorado military law attorney to help them deal with military family law. With Chamberland Law representation, you can rest assured that we will take care of you. With strength and compassion, we will help you and your children get through what can sometimes be a very painful time in life that is filled with very big changes. We provide all of our clients with hands-on, personalized service. I collaborate with my clients and their families to resolve their family law disputes as painlessly as possible. I maximize negotiation and mediation with the other party, minimixe the need for litigation, and get the best deals and arrangements for my clients and their children. If mediation is unsuccessful, I go to Colorado family law court for my client, and I fight to win. I am a zealous and strategic Colorado Springs family lawyer who takes no prisoners in the courtroom when it comes to securing the best deals for my clients. The majority of my business comes from my very satisfied current and former clients who are always happy to send multiple referrals my way. Many of my Colorado family law clients live in Colorado Springs, Cimarron Hills, Security-Widefield, Monument, Woodland Park, Black Forest, Canon City, Fountain, Florissant, or other cities in the Pikes Peak Region, the Tri-Lakes Area, Douglas County, Fremont County, and El Paso County, Colorado. Please contact my Colorado law firm to schedule your no-obligation telephone consultation. During this initial discussion, I will inform you of your legal rights and the laws that apply to your case. If I do not think you need a Colorado Springs family lawyer, I will advise you regarding the steps you should take to resolve your legal problem. If you do need an attorney to assist you and we agree to work together, I will give you an honest assessment of the outcome of your case and an estimate of fees and costs. I offer all of my legal services at reasonable rates. To schedule your initial consultation with Colorado Springs Attorney Ray Chamberland, call Chamberland Law at (719) 527-3999 or contact us online. Ray Chamberland, Colorado Family Lawyer, talks with each of his clients to discuss the steps, procedures, and timelines for their particular case. At Chamberland Law, Ray and his staff of experts are available to answer all your questions, concerns, and alleviate the stress of your divorce or legal separation, as well as achieve the best possible outcome.